This best seller series of Photobooks ensures your wedding pictures never lose their charm. Exclusive, classy and beautifully designed, these Photobooks are available with customizable cover options, personalised content on the inner flap and paper type making it the favourite of every wedding professional. The most special day of your life deserves to be everlasting. With our Flush Mount albums we make sure the day remains etched in your memory in all its glory and beauty. Beautifully designed with rich textures, classy colours and an equally attractive outer box, you can be sure your wedding album is as memorable as the day itself. 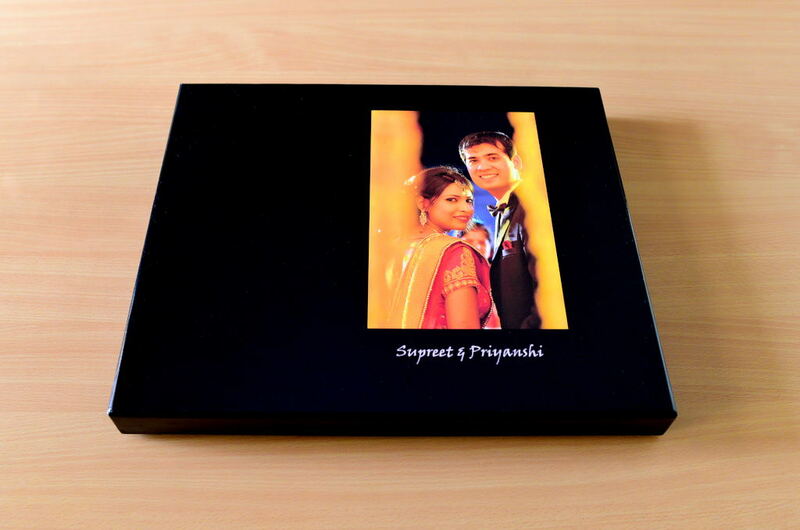 Rich, vibrant colours and fabric textures with a similar outer box make for an eye-catching wedding album. 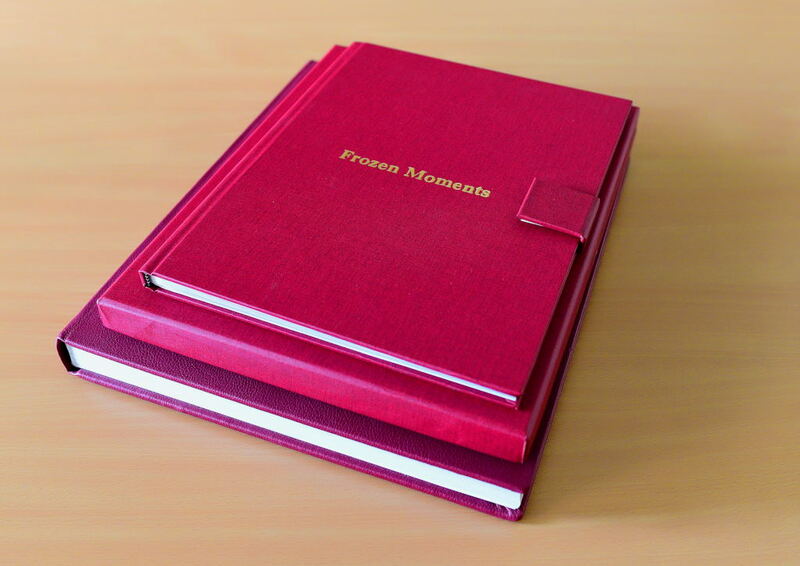 These books come with a variety of covers all of which support high-quality text embossing using an etching technique. This embossing makes each book a piece of art. 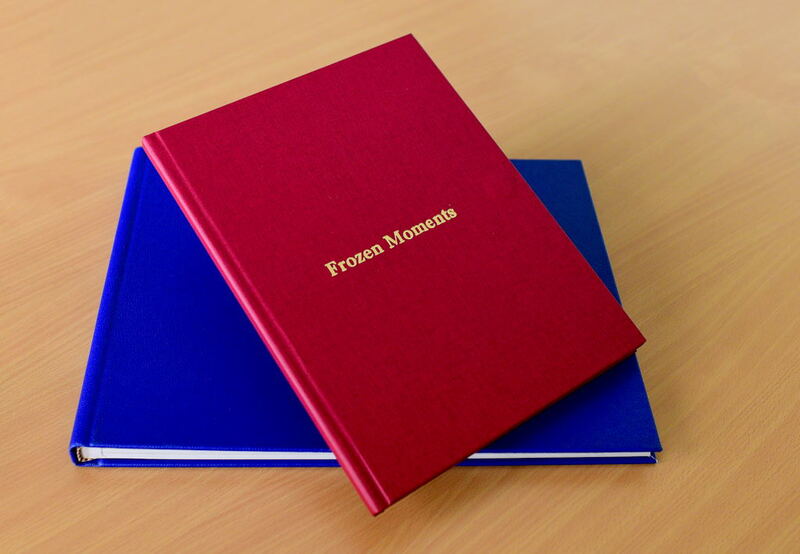 Covers with acrylic colours that give a smooth, crystal-like finish that make your album stand apart and last a lifetime. These stunning eco-friendly leather bound books and outer case spell class and sophistication making your wedding album a thing of admiration. Elegant yet economical, our Standard series of Photobooks are an affordable way to preserve those special moments forever. 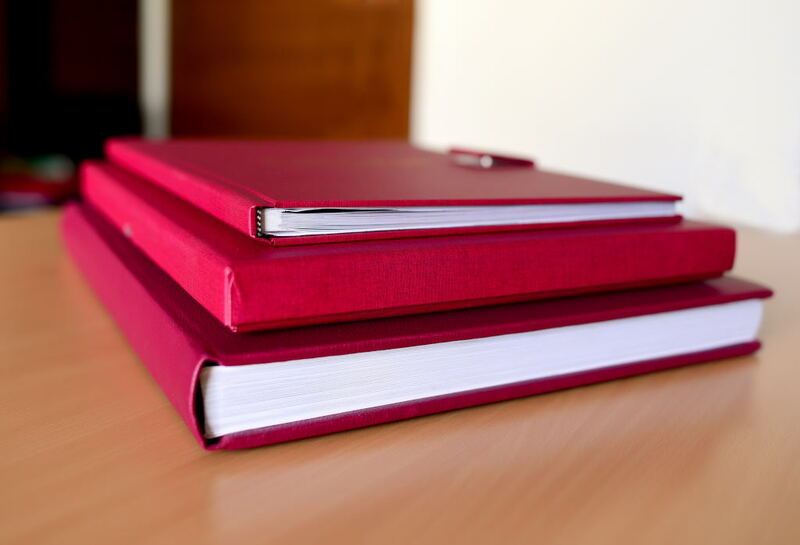 Designed to your taste, these books offer you the option of customising the fabric spine, album colours and paper type. And with high-quality lamination and attractive designs, you can be sure your special day remains special, for life. 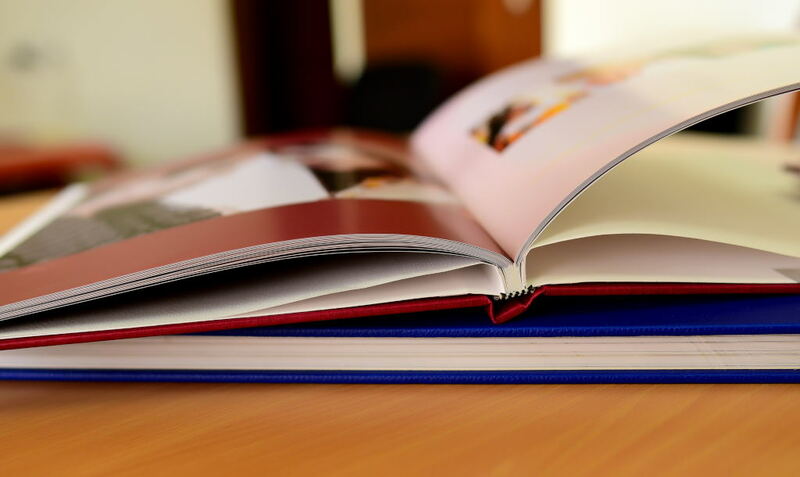 Good things come in small packages, this photobook has all the impact and cover customization like our larger books but it comes in smaller size and with soft cover. Your memories turn more beautiful when transferred on prints. Order these professional quality prints and preserve your special memories for lifetime. Make your months special in your own way. 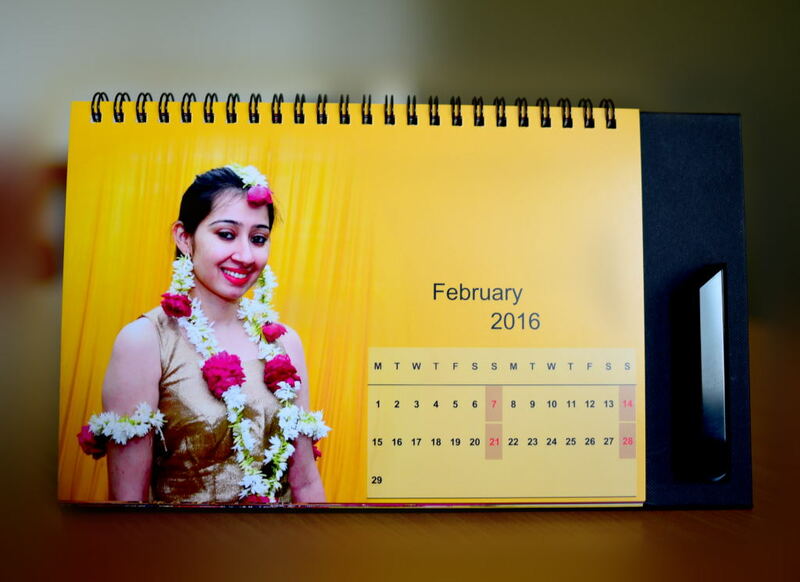 Our easy to design personalized calendars come with beautiful background and layout options. A perfect gift for any occasion, these best quality calendars are must haves for your home as well as office cubicles. Our posters are the perfect way to paint your walls with your lovely memories. Available in different sizes, these posters are gorgeous options to relive the special moments of your baby or the sweet reminiscence of your wedding.